Welcome to the NQC Quilt Block Challenge! February 2, 2017 By Editor & filed under Uncategorized. 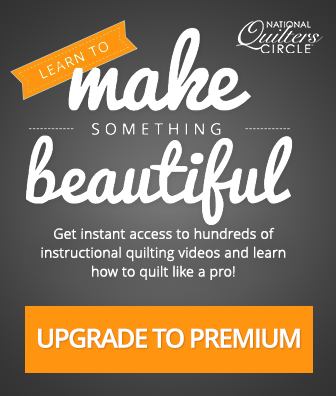 Thanks for joining the National Quilters Circle Block Challenge! We’re so excited for this challenge and can’t wait to see everyone’s work each week. The challenge will kick off soon – keep an eye on your inbox for your first block which will be included in the National Quilters Circle newsletter. In the meantime, make sure to join the National Quilters Circle Block Challenge Facebook group where you can share photos of your progress each week and connect with your fellow challenge participants. The Facebook group is a great place to get updates and sneak peeks each week too! 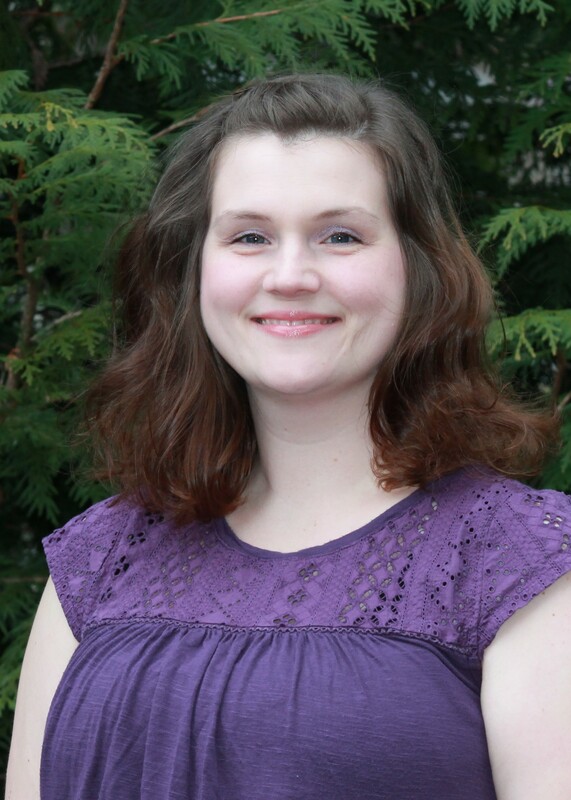 Andrea of Happy Cloud Creations has been sewing for 25 years and quilting for 20. She loves spending time with her family and being creative. Recently, she has been designing quick and easy quilt patterns that are great for beginners and still a lot of fun for experienced quilters. You can visit her Craftsy page at Craftsy.com/HappyCloudCreations and her Etsy page at HappyCloudCreations.Etsy.com. I am looking forward to the quilt challenge. How does this work since I don’t do Facebook? What fabrics do I need for this challenge? Hi, Jayne. Yes, each week’s block will continue to be available through the entire challenge. My first challenge, excited to begin. I’ve done several quilt alongs. I love the simple design of each block and how they each blend together. Haven’t received instructions for block #1. How can I get them? Looking forward to the journey. Thanks for including me. The first block looks so interesting that enticed me to join. Looks like lots of fun. How do I get the instructions for the first block? I am excited to begin the challenge! Be sure to follow us on Facebook for the latest NQC updates to the Block Challenge. Please send block 2 of the Snowy Day Quilt Sampler. I would love to learn how to post pictures of my blocks to appear on fB. I photograph them with my phone and I have the ability to send them to fB, but they are only appearing on my page. Any suggestions? How do I get block 3? I am so frustrated trying to use this site, but am too stubborn to quit. Please advise how to find block 3. Are there directions on how much material it will take to complete all the blocks. I did a quilt once where they only gave you the pattern each month and I hate the way it doesn’t coordinate. I have a problem finding the directions for Block #3 for this challenge. My pattern for block 4 didn’t make it to my inbox. where can I get it? Thank You. Hi, Gail. We signed you up! Please keep an eye out for the challenges sent to your inbox weekly. How do I get the block patterns delivered to my e-mail address? The blocks are delivered via email, every Thursday. Is this how I get the challenge blocks? The challenge blocks are sent out via email every Thursday. If you have any further questions, please contact us at 1-855-706-3538. When will blocks 6 thru 9 be available? happy to try a challenge. then where do we go to get the blocks we missed? i missed block 4 n can’t find it. Could you please post a link to the general instructions? I missed it and would like to see it for a reference. Below is the link for the Quilt Block Challenge, just add your email address and don’t forget to like us on Facebook! Why am i not getting the next blocks emailed to me? Then when i go to the main page i can’t even find blocks 5&6? Can you please post the link to block 7 on this page? I have tried several different places to get it and cannot seem to find it. Thanks in advance. Why isn’t block 7 added to this website? I received the first block via e-mail. Have had to try to locate all the rest. I need block 7 and cannot access it from facebook. I am dependent on my laptop right now. After seeing all the beautiful blocks, how could I not join? Looking forward to making this quilt for my queen sized bed! I want to join in on the fun and make this quilt. You can LIKE us and Follow Us on Facebook under National Quilters Circle and then NQC Quilt Block Challenge to get all of the block downloads! You can Like us on Facebook at National Quilters Circle or if you are wanting to view all of the blocks, please search National Quilters Circle Challenge. It will provide you with all of the block links, pictures, and instructions. Can not wait to start making blocks. Hi I just joined and I know all of the blocks and the covering pages have been posted. Is there somewhere that I can go to get it all at once? We are excited that you are interested in the block challenge! All the blocks are located on our Facebook Page NQC Quilt Black Challenge. Please let us know if you have any further questions. Can’t wait to get the new challenge information. Love a challenge, can’t wait to get started. Iam excited to learn more and have fun. Would like to join the quilt challenge! How can I verify if I already joined? or shall I just join again? You are signed up for the Challenge. You will receive a weekly email with each block’s instructions. You will have a total of 9 blocks. Been quilting for 40 years. I’m so excited. I hope it’s not too late to join. I have requested 3 times to begin to receive the pattern for this challenge. I NEVER received anytime. Sad! I have signed up for the email 3 times. Make sure you also sign up for our Facebook group, NQC Quilt Block Challenge. The blocks are also posted on there. Can I still get Block 1? Just getting started. How do I catch up. Do you have to be a premium member to be part of the challenge. No, the challenge is free to everyone. Hi I signed up for the challenge and hav not received any emails can you help me? Make sure you sign up for our Facebook site NQC Quilt Block Challenge, everything is posted on there as well. Please make sure you also sign up for our Facebook page, NQC Quilt Block Challenge. All the instructions are posted on there as well. I have signed up but want to know how I can get the patterns/instructions for the first three I have missed. Help please! Looking forward to the block challenge. I’d love to join your quilt block challenge and circle. How do you get the patterns? Here is a link to the first block https://www.nationalquilterscircle.com/article/block-1/. There are links to all the other blocks that have been sent out so far at the bottom of the post. I love the Block of th Month designs and would like patterns. It’s not too late. The challenge has already started but you can start the challenge whenever you would like. how can i get the patern for the Quilt Block Challenge thank you. ;how do I get started? I need the quilt block for today. Saw this Challenge in a Murder Mystery Challenge I’m doing and can’t wait to start it. Thank you for all you do making this happen. I like the challenge quilt. Hi, I am enjoying the challenge but have a problem with block 8, Alicyone, the first HST on page two using the measurements for B & F are given as 4 7/8” x 9 3/4” then square to 3 3/8”. Are these correct as I am having difficulty making the finished square. Can I still get to the snowy day challenge blocks, patterns please! Looking forward to this next quilt block challenge. Is the new challange too difficult for advanced beginners? We are sorry to hear that you are not able to find the blocks. 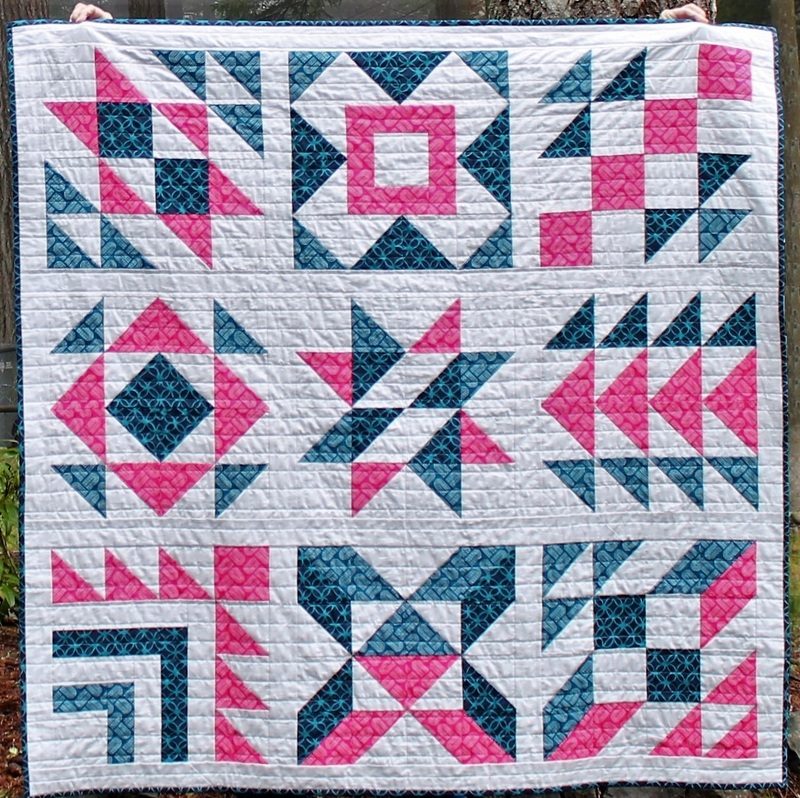 Here is the link to Block 1. https://www.nationalquilterscircle.com/article/lexington-sampler-challenge-block-1/ There is a link to Block 2 as well at the bottom of the post. Here is the link to Block 1. https://www.nationalquilterscircle.com/article/lexington-sampler-challenge-block-1/ There is a link to Block 2 at the bottom of the post as well. Part two will be sent out through email this Friday. We are only on part one this week. New to quilting but am a 40 year seamstress. Would like the fabric requirements. What are the fabric requirements. love the ice crystal blocks!